Kim Kardashian and Kanye West make adorable kids; North West, Saint, and Chicago are all the spitting image of their parents. But according to the Keeping up with the Kardashians star, their youngest daughter Chicago is the most like her. Speaking on the debut episode of Ashley Graham's new podcast, Pretty Big Deal, the 37-year-old says eight-month-old Chicago, who was born via surrogate this year, must have been the product of divine intervention. "She is such a doll," Kim gushed. "She looks like, honestly, my twin mixed with Saint. It's like the two of us in her. "I think I was so nervous to have a surrogate and to have that connection that God was like, 'I'm going to make her look just like you.'" Kim has a tendency to point out the similarities between her children and herself, though. In an interview on The Ellen Degeneres Show last year, she said of son Saint: "He's my twin. He's literally my twin personality. He's so sweet. And he's just such a good, good boy. Just such a good person." 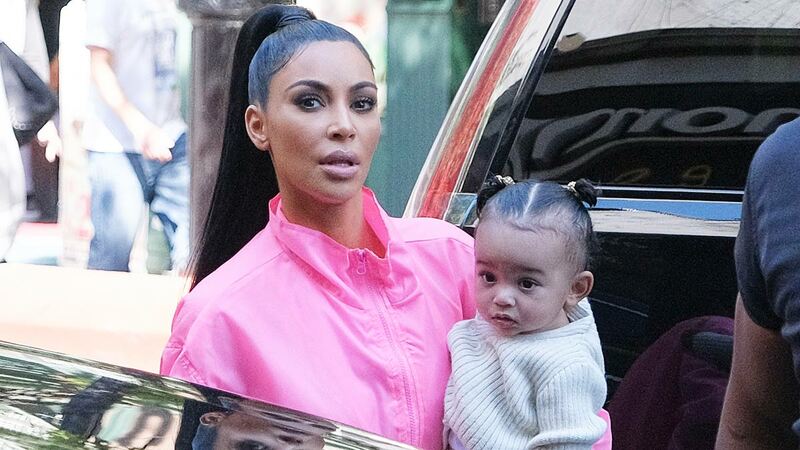 She has also previously spoken about how alike North and Kanye are. "She's really really smart, actually. She knows how to outsmart us—of she thinks she does. But she is Kanye's twin," she admitted. "Same personality, says the same wild things. Those two…"
In that case, guess we already know who the next generation of celebs will be.